My, my, dear readers. 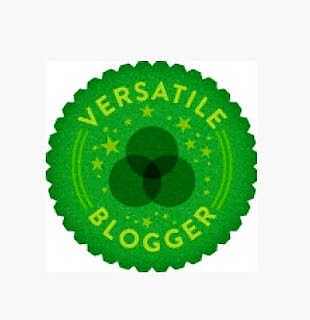 You flatter me yet again with another blogging award! I never had the slightest clue that I would meet so many wonderful neighbors when I first signed up for Blogging 101. I just thought it would be an awesome way to learn more about my blog and push me out of my comfort zone (and back to blogging on a regular basis). I was so wrong. There is such a wonderful community to be found here. I was nominated for this award by Debbie of The TumbleLees. I stumbled on her blog during blogging 101 and loved the wordplay in the name of her blog. I thought it was clever and invoked a feel of travelling. I clicked away only to discover a fellow wanderer! She and her husband are full time RV-ers (which my boyfriend and I considered before we bought a house. No seriously, we were going to buy an rv and make our living wherever we felt like it, doing odd jobs). Go check out her blog if you haven’t! Include a link to their blog. That’s also common courtesy—if you can figure out how to do it. 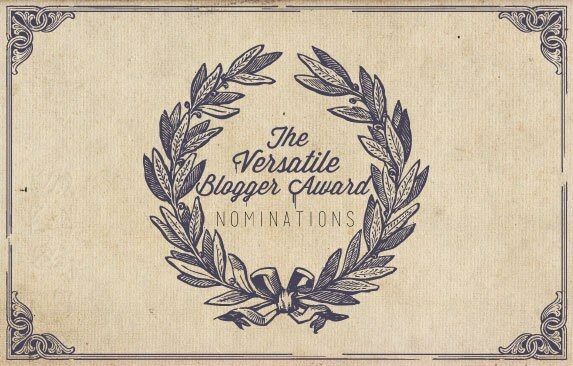 Nominate those 15 bloggers (or less) for the Versatile Blogger Award — you might include a link to the original site. Well, I have already thanked Debbie. She’s fantastic. 🙂 And I’ve included a link to her blog, but in case you missed it, here it is. Where’s Happy She has a great sense of humor and I love the variety of her posts. From observations on life to posts about facing your fears, there’s a little something here for everyone. Shelby – just because I enjoy her writing, think she has a great voice, I relate to her posts, and I think she deserves some recognition. Twisted Top In Flip Flops – I enjoy her posts and relate to being a 20 something who doesn’t quite relate to the other 20 somethings who just want to party and drink. Sincerely, Hil – she has a variety of great posts and I love every one of them. The only U.S. State I’ve never been to is Alaska. The only country besides the U.S. that I’ve been to is Canada (and it was only for a day or so, when I was 7). When I go on vacations, I do NOT sleep late. When we went on vacations when I was younger, we were always up early exploring. My dad has always said that if you just want to sleep your life away, you can do that at home for free.. Not in a motel 500 miles away. There’s too much to see in a place you’ve never been to. I’m a first time home owner (and it’s the first time I’ve moved out of my parent’s house) and no one in my family has ever cared about home decor, so now I feel (self conscious) behind the curve. My boyfriend’s family, and mine, have homes that look straight out of Better Homes and Gardens. Mine does not and I’m not sure how to make it fit me but also look adult-y and put together. I LOVE my xbox 360. No seriously. I’ve had one for a long time and video games are a great way for me to zone out when I can’t keep my brain together enough to read. I love Jenna Marbles’ youtube videos. They make me laugh. The boyfriend and I have watched every video she’s uploaded, especially after moving into our own place and choosing internet over cable. When it’s below 50, you will NOT catch me without at least a hoodie. No exceptions. You’re lucky if I wait until it gets as low as 50. So that’s my post. Thank you again, Debbie, for the nomination. Also, I forgot to ask readers for ideas to write about for writing 101. I’ve included a contact form here. PLEASE send me ideas! It could be something you want to know about me, my opinion, something off the wall, something you want to blog about but want to see someone else blog about first, ect. Thanks again, friends and neighbors! Thanks for the nomination 🙂 I’m so glad you like my blog!! Thanks so much……..due to life, I am having to go Award Free for now, but I will put this in a list for later. I can’t believe how much I have learned, we all have learned! Honored to be on your short list 😀 . Maybe after 411 sale I can settle in to catch up and do this award. It is pretty easy I think I will just pick a few like you did. We can only do so much, we want it to be meaningful when we write. I am still amazed Every time I get nominated 😀 like a kid with a gold star 😉 Congrats on your award!